← The ODNT Job Search – Think TRAINING Cats is as Hard as HERDING Them? 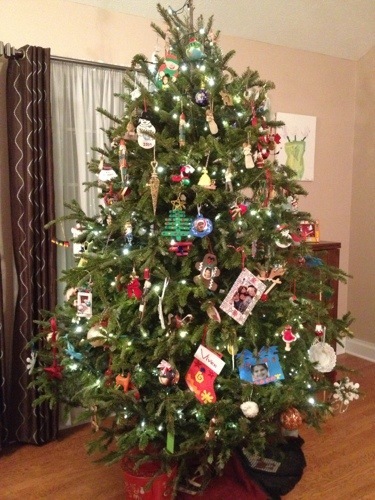 O Christmas Tree, O Chri— What?!!? Some of us are still appreciating it! It’s January 8 and my Christmas tree is still up. It’s the first year I can say that. I always aim to leave it up until January 6, partly because it’s Twelfth Night (also known as Kings Day, the opening day to Mardi Gras season here in New Orleans) and partly because I just like having the thing up. It’s like my wedding dress. I elected to wear it throughout my entire reception and exit still draped in all its regal glory via a horse drawn carriage in the middle of the French Quarter. Why change into a stupid travel suit? You only get to wear that dress (hopefully) once in your lifetime. And you only get to host your tree for a short time each year. Truth? I get a little weepy whenever I think about this tree being the only one that will ever belong to 13-year-old Dean and 10-year-old Vivien. 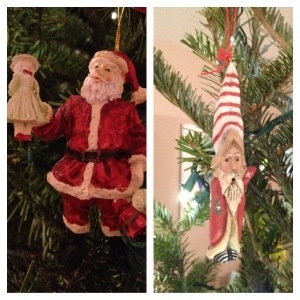 They both just love it … the selection process, the decorating, Vivien even names ours every year. This year’s model is Rosemary. And she’s beautiful, isn’t she? Still green and retaining most of her needles. Standing at almost nine feet, “Rosemary” is a proud Frasier Fir if I’ve ever seen one. 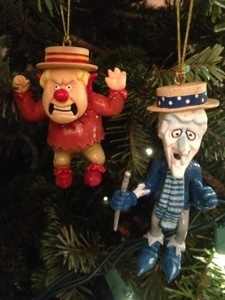 And then there are the ornaments. Not one of them could be worth more than a few dollars. But they’re invaluable to me, creating a time capsule of my life. I’m eternally grateful that the box containing them was stored high in my attic (the side that retained its roof) for Hurricane Katrina. 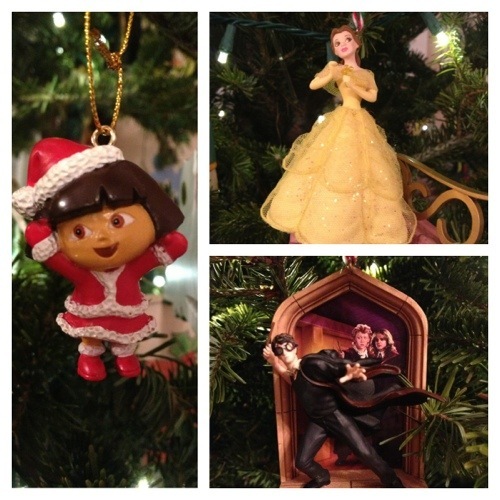 Here are just a few more of the reasons my tree is still up. For the time being. Another one I literally stole from my parents. 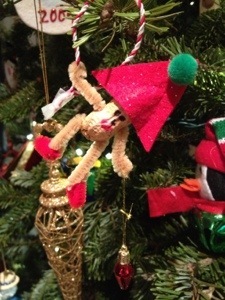 It’s just a simple little guy made of pipe cleaners and paper … but it’s the hands down favorite to hang on my tree each year. Dave and the kids literally squabble over who gets to do the honors every time. From an old boss at one of my very first jobs. 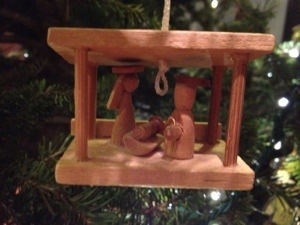 Because we were married at Christmas time (many years ago) and thus were given a great many ornaments that December. 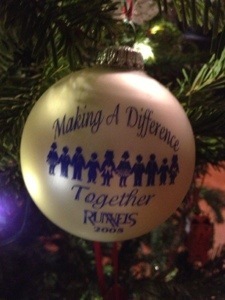 One of our favorites given to us at our ornament shower that year. I have no guesses as to the identity of the giver. Thanks, generous family member or friend from my past. 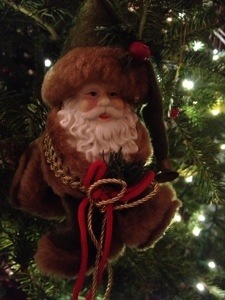 And then there were all the cute little Santas my dad gave us that holiday season. 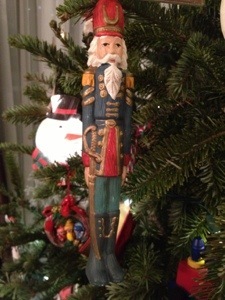 And these toy soldiers. There were originally six of them but one bit it a few years ago. Thanks, Aunt Jackie. We still love them. 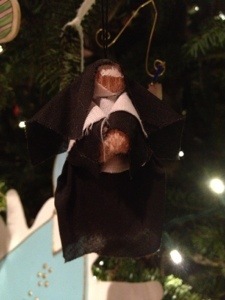 This one was handcrafted by my mother-in-law. She had three boys. And this one was brought to us all the way over from Spain. Barcelona, I think. Thanks, Heather and John. 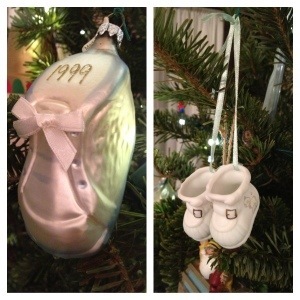 When we became parents, our tree reflected that life change immediately. 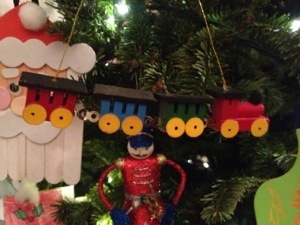 More than half of what’s hanging on my tree today was created by two very special little artists. One of our newer, Vivien-crafted favorites that rivals piper cleaner Santa (see above). 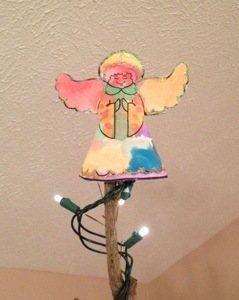 It ticks Vivien off every year when I hang the tie-dyed paper angel she made me in PreK rather than the “perfect,” store-bought one we received as a wedding gift so many years ago. One day, when you’re a mom, you’ll understand, my girl. 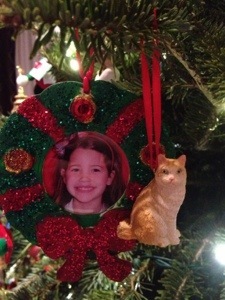 And if they didn’t make the ornaments, they chose them. Or Dave and I lied and said they did. From where Dean serendipitously attended kindergarten during our year as refugees living away from New Orleans after Katrina. And an old favorite made even more special because it contains a reindeer bell left on our front lawn a few years ago on Christmas Eve by Santa and his magical crew. 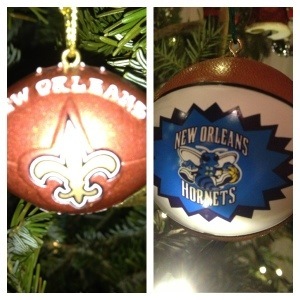 Special family ornaments on the tree for each of my kids. The inspiration for the one on the right. … past and present. RIP Toby 1987 – 2002. 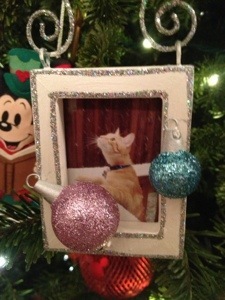 … which probably really burns Herve because Milo actually has TWO ornaments on the tree. Oh, and a new favorite given to me by my friend and partner-in-writing-crime. Thanks, Mel. I’m sure we’ll get to taking the tree down soon. But … for now … I’m just going to enjoy her memories, her distinctive scent and the soft light she casts in my living area whenever she’s illuminated. 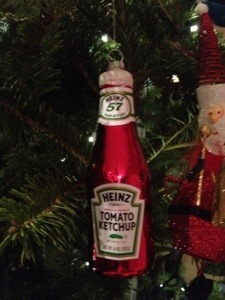 This entry was posted in Uncategorized and tagged christmas tree still up in january, ornaments from vacation, special ornaments. Bookmark the permalink. 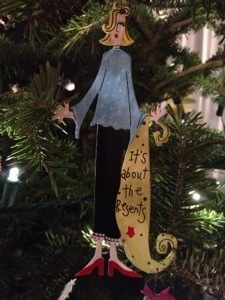 Loved peeking into your life & most prized & special ornaments….esp pleased to be represented in your tree/life story!! 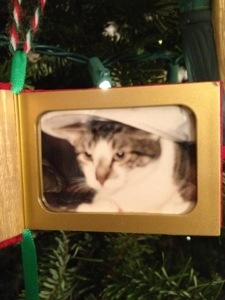 I am so sad to be having to take down the tree this week. Ours still smells like heaven. Aren’t we lucky to have so much in life to celebrate and remember? 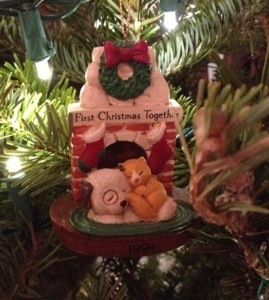 Indeed, H. And I’m glad your ornaments survived the flood, too. Love you, too, Aunt Jackie. Word is our trees are going to go to help rebuild the dunes that were flattened compliments of Sandy…. The trees get better once you have kids. Love the stroll down memory lane. 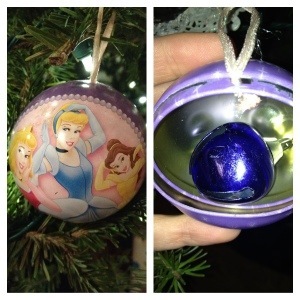 I loved looking through all the ornaments. 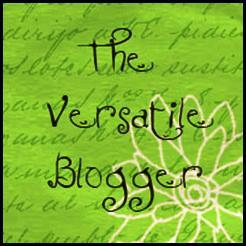 Not sure how I found your blog, but it is very pretty! Aww. Thanks, Julie. Please take a look around and stay a while. I’ve been known to give things away from time to time. Like stolen shoes, books about underwear and canned cheese. Your tree is gorgeous, I can see why it’s still up, just take it away before the 25,000 hibernating insects decide to wake up. Ummm … what are you talking about, Enchanted Seashells? WHAT ARE YOU TALKING ABOUT?!!? 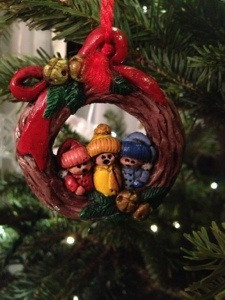 Beautiful tree, beautiful ornaments. I finally took ours down yesterday; the first Christmas in our new home. I really didn’t want to take it down yet. Everything seems so bare and dark now! Wonderful. Have you thought about cutting apiece of Rosemary off and dipping it in polyeurathane? My daughter would LOVE that. 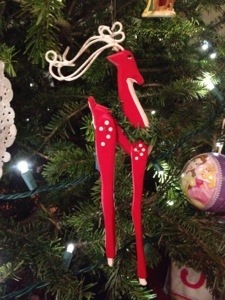 She is world-class hoarder who didn’t want to let go of the lawn reindeer that stopped working this year …. or the polar bear that also crapped out … or the box the new TV came in … etc. etc. etc. Glad to help with the hoarding… er, preserve the moment. I LOVE IT!!! I wish mine was still up, but it totally became a fire hazard. 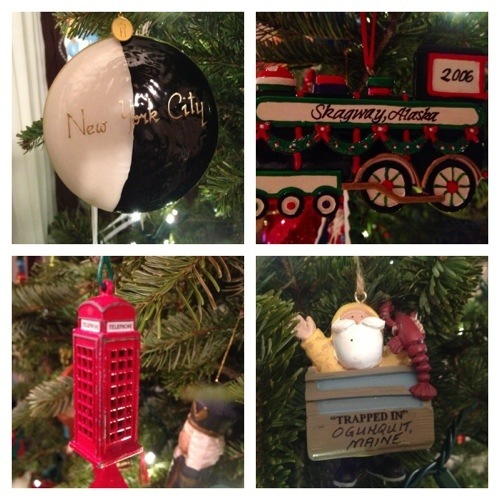 Love all the special ornaments – YAY CHRISTMAS!!! 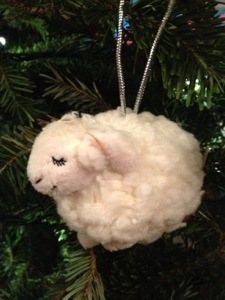 I absolutely love your tree. It’s just like mine. 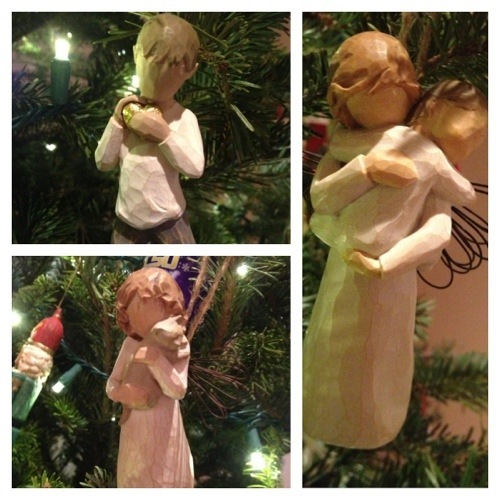 Made out of love and special ornaments. 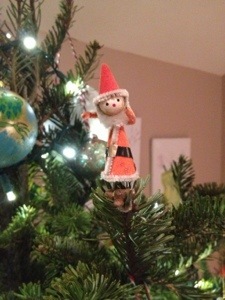 Your tree looks so fun! 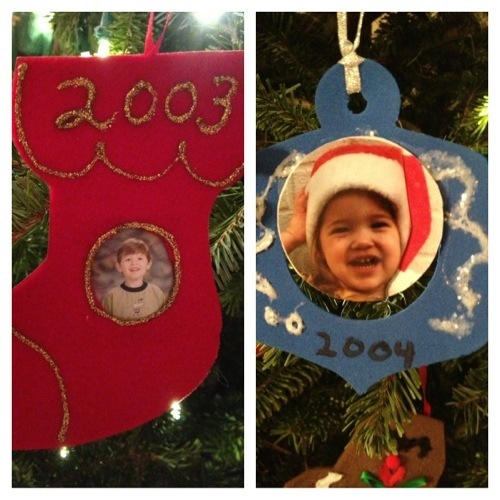 I love that you have a memory attached to each ornament. Found you through Bloggy Moms.